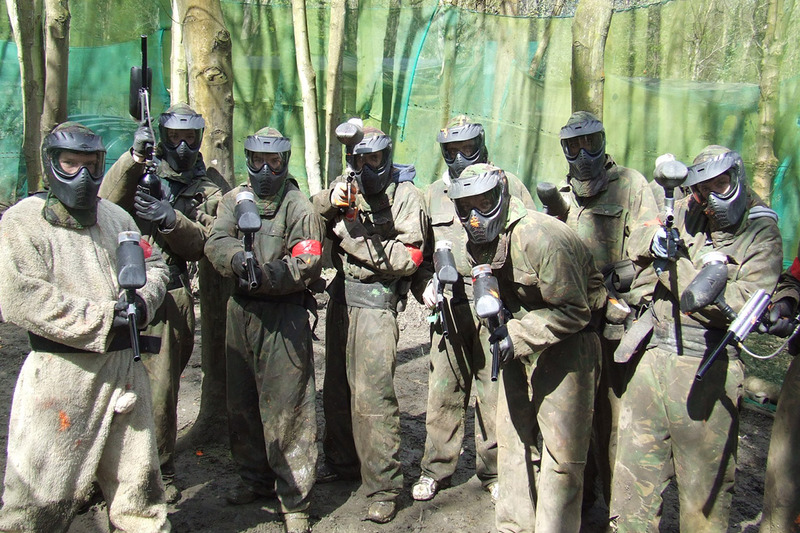 Paintballing really is the ultimate warfare activity! Our unique venue will be sure to give you the best Paint Balling experience you can find. Set on an extensive, completely natural course, it offers an exclusive wild environment, complete with streams, bridges and woodland. This specially designed site incorporates all the thrills of combat over five dynamic zones! Before you begin your shoot out, you will be issued with all your equipment and have a brief on gun control and safety. Then it’s time to divide into teams and set off for your first zone. Armed and ready, feel your adrenaline racing as you wait for the marshal to give you the whistle to begin the shoot out! 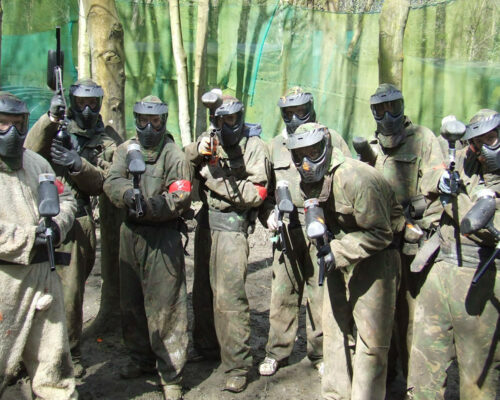 Armed with 200 paintballs to start you off, you can choose whether to work as a team, or go it alone with some tactical play, as you fight to stay on the winning side! 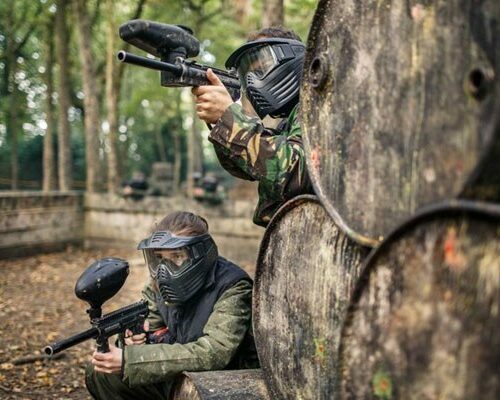 So let battle commence and get shooting your colourful path to victory! 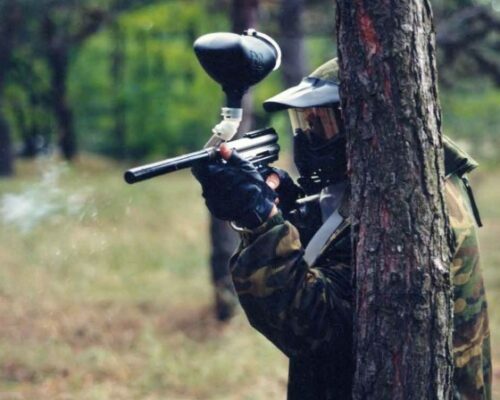 All Paintball Safety Equipment are provided. Guns can be adjusted in strength if requested. The course can be muddy so suitable footwear, like old trainers/ fitted flat boots are ideal. There are Safe Zones in all Zones so players can take time out during the session if necessary. Sessions are run by experienced marshals. 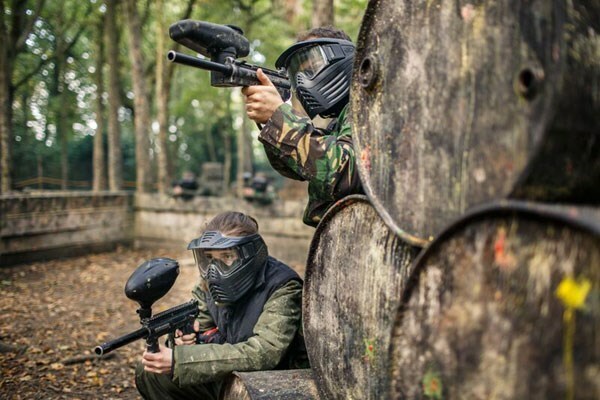 Additional paintballs are available for purchase throughout the session at £6 per 100 if required. For other similar activities, please check our CLAY PIGEON SHOOTING activity! Or click HERE for our Hen Party Packages, or HERE for Stag Party Packages.